I have extremely oily skin with enlarged pores and textures so anything mattifying and pore refining is a must for me. However, I have been switching my primer up a bit since it is winter in New Zealand and my skin gets really dull and dehydrated. Whenever I wear a long wearing foundation, I make sure that I have a hydrating base. Not only it will make the foundation go evenly but it will also help the foundation melt into my skin without looking caked up and gross. 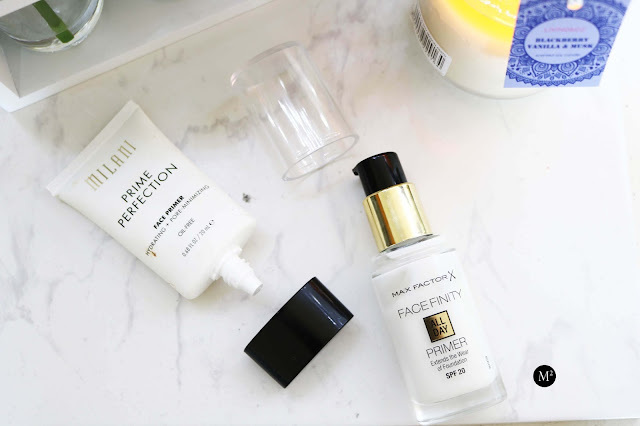 Milani Prime Perfection Face Primer is my favourite especially when I want a glowy base. The formula is great for hydrating my skin as well as filling in my pores for a flawless canvas. The consistency is gel like cream which sips into my skin within seconds of applying. 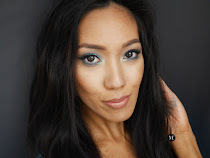 It gives my dull matte base a supple and healthy look! In terms of making my makeup last all day, I don't think this works for that factor. Max Factor All Day Primer is amazing for its built in SPF 20. Honestly, this primer does not really do anything except protect my face from harsh winter UV rays. It does give a little hydration but does not really fill in any pores, so I have to mix in a little bit of a pore filling primer for my problem areas. It is a great option for quick on the go makeup or for errands day. One use I find for this primer is to mix it with my darker full coverage foundations to lighten the shade a bit and create a bb cream like consistency. On to the good stuff! These are my trusted primers whenever I want a sleek polished makeup. These primers not only mattifies, but also makes my makeup last till I decide to take it off. Dr Brandt Pores No More Pore Refiner would have to be my favourite out of all the pore filling primers that I have tried! It gives me a supper matte finish and smooths everything from fine lines, enlarged pores, and even textures! The silicon texture and color is comparable to the Benefit Porefessional Primer, though I find this more blendable and lighter feel than the Porefessional. It is a little bit expensive but Dr Brandt's products includes skin care benefits which can improve the skin after consistent use. 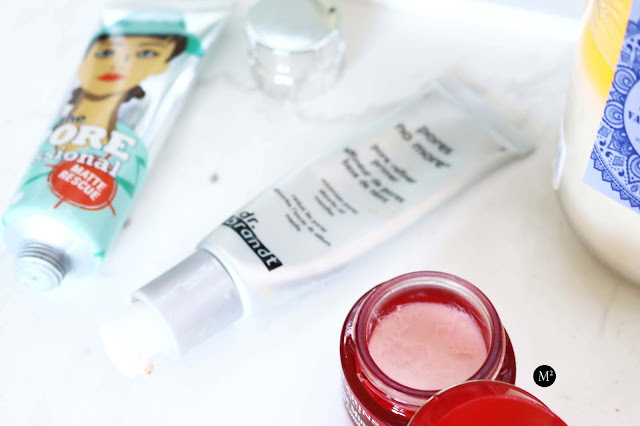 Benefit Porefessional Matte Rescue Primer is another favourite. The gel formula makes it easy to sip into the skin and it gives a cooling sensation to the face which is quite refreshing. Benefit Porefessional is great for pore filling aspect and in my opinion this primer is just as great as the original. 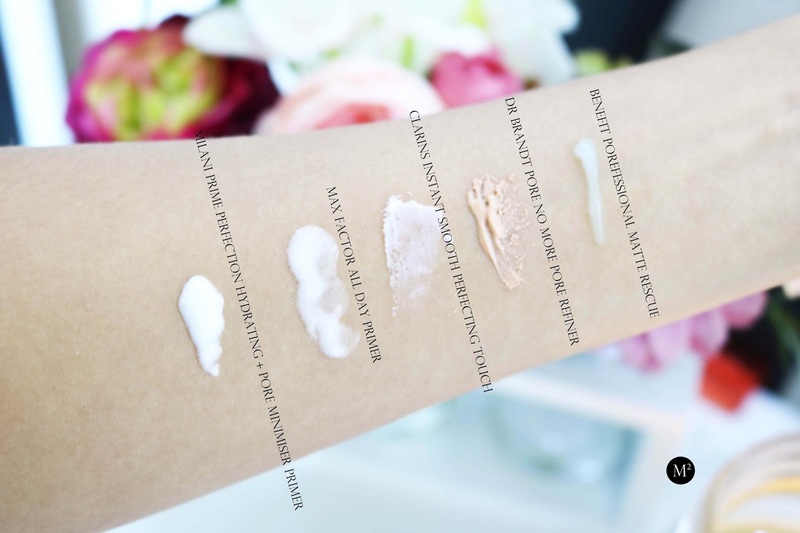 Clarins Instant Smooth Perfecting Touch Primer is another underrated product in the beauty community. It is seriously amazing on filling in pores and mattifying the skin. I love to use this for my everyday makeup routine. It is easy and you only need a tiny bit to cover the problem areas. My favourite way to apply this primer is to pat around the t-zone area and pores. Swiping it around the face may cause balling up so I'd avoid that. However, the only downside for this is, it does not really make my foundation last all day and due to my heavily oily skin, at the end of the day I see a lot of separation around my t-zone. But it is a great go to primer! Primers and any makeup is very personal. 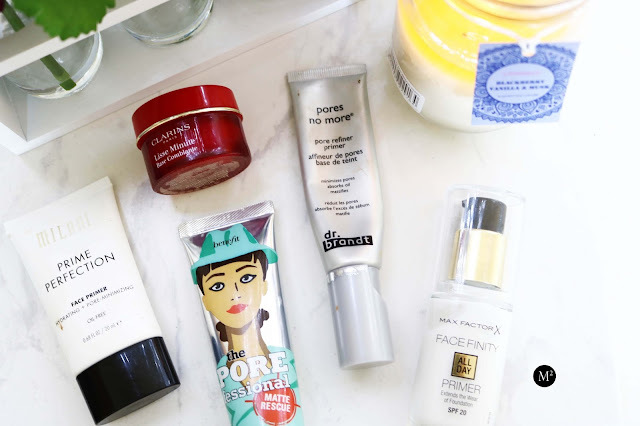 These are the products that have worked and showed tremendous result on my oily skin. So if you have combination to oily skin, try these products and see for yourself. As long as you found the one that is appropriate for your skin type, your makeup game will literally change!